Sania Mirza (born 15 November 1986, in Bombay) is a professional Indian tennis player, well known for her powerful forehand ground strokes. She holds the record for being the highest ranked player from India for over a decade.Mirza is the highest ranked female tennis player ever from India, with a career high ranking of 27 in singles and 7 in doubles. Tennis Star Sania Mirza was born on 15 November 1986 when Capricorn zodiac was rising in her vedic astrology birth chart.Youth Icon of India – Sania Mirza created history after being highest ranked female tennis player from India.Sania Mirza was awarded with Arjuna Award in 2006 followed by Padma Shri Award in 2010.Sania Mirza was born and brought up in a religious family and her father Imran Mirza is a sports journalist. 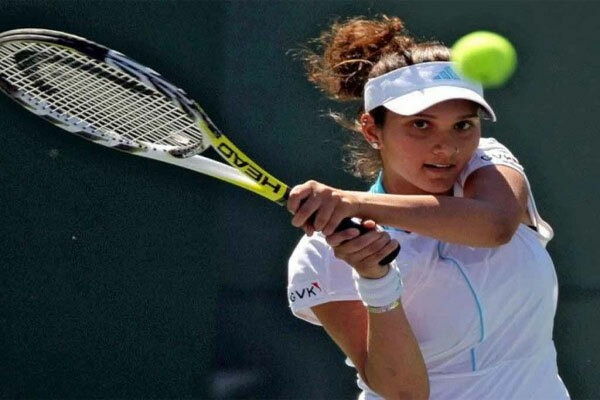 Sania Mirza started playing tennis since early childhood (around 6 years of age) and in April 2003 Sania turned into professional tennis.The vedic astrology birth chart of Sania Mirza is filled with many great Rajyogas and strong planetary combinations. The ascendant of Sania Mirza horoscope is tenanted by exalted Mars. As per vedic astrology readings, exalted Mars in Lagna creates Ruchak Yoga. The Yogakaraka Planet i.e. Venus is generating another great Yoga known as Malavya yoga in the vedic birth chart of Sania Mirza.The union of ninth lord Mercury and tenth lord Venus in creating another great Rajyoga in vedic astrology birth chart of Sania Mirza. As per vedic astrology readings for success in sports the strength of third and sixth houses is of paramount importance in addition to strength of Mars and Mercury. And, in Sania Mirza horoscope all relevant planets and houses are well placed and strong.Mercury, however, is combust and a bit weak.The union of debilitated Sun with Venus and Mercury also reduces some strength. Though, exalted Mars in lagna under aspect of Saturn blessed Sania Mirza with very strong physique and stamina to put her best efforts in the tennis court. During Venus/Mercury, Sania Mirza made her debut in professional tennis and thereafter, there was no looking back for Sania Mirza.Jupiter placed in second house of Sania Mirza Horoscope is, however, not completely positive for the significations of the second house.Jupiter rules over malefic third and twelfth houses of Sania Mirza horoscope and is not under any positive influence of any benefic planet.Therefore, Sania Mirza had also suffered on account of a few controversies about her straight forward comments. Vedic Astrology Readings of the seventh house of Sania Mirza vedic birth chart indicate influence of Mars and Rahu.Seventh lord Moon is having mixed influence of planetary aspects like Mars, Sun, Venus and Mercury. During Sun/Venus Bhukti Sania Mirza got married to Shoaib Malik and her wedding was also clouded with controversies. Presently, Sania Mirza is under Main period of the Moon which is not under strong positive influences in her vedic birth chart.Therefore, Sania Mirza may face some problems in her social and personal life.Period from 18 June 2011 to November 2014 is appearing significantly troublesome for this great tennis player.And, we hope and pray that Indian feminine Legend of Tennis will be taking good care of her career and personal matters during the specified period.